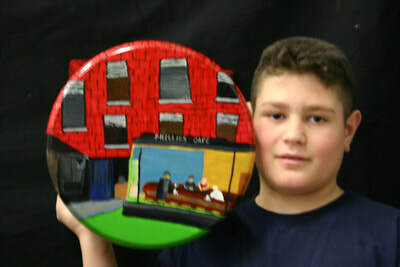 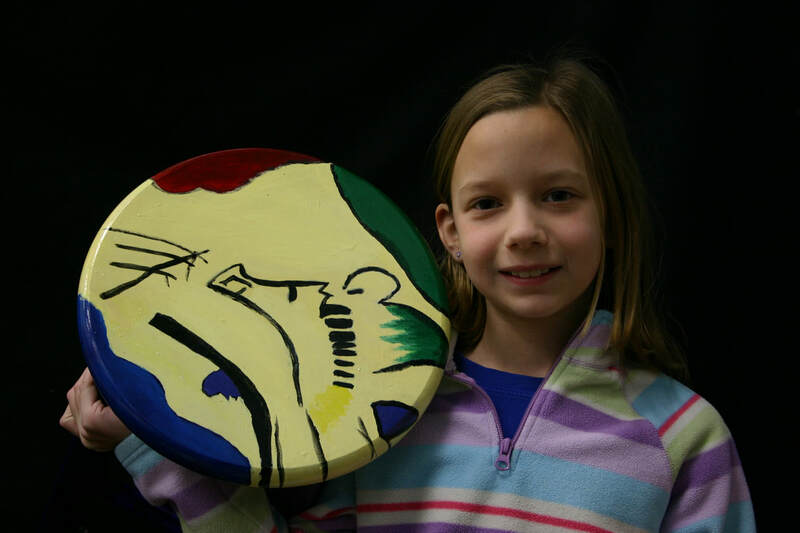 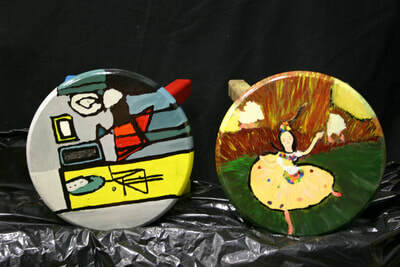 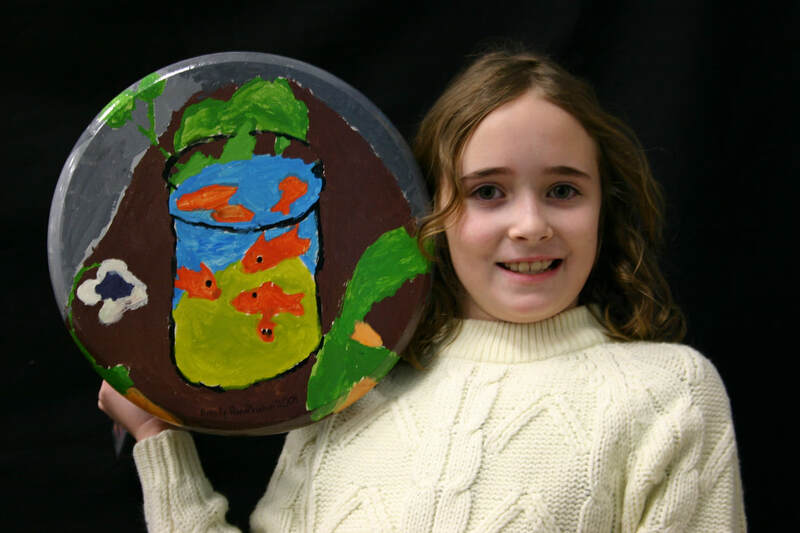 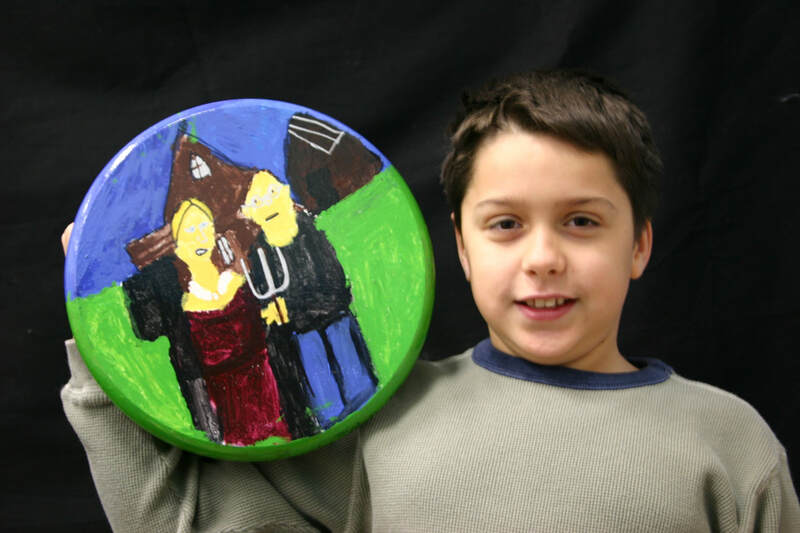 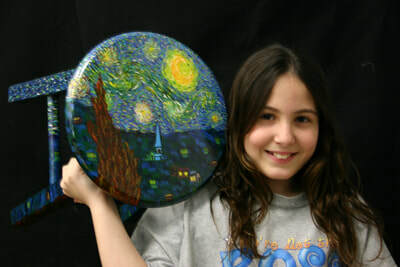 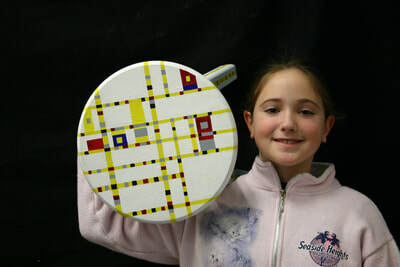 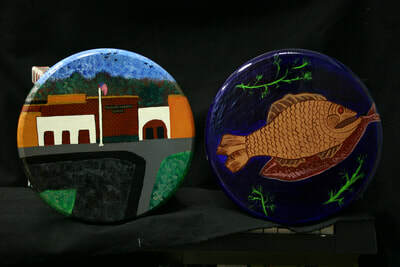 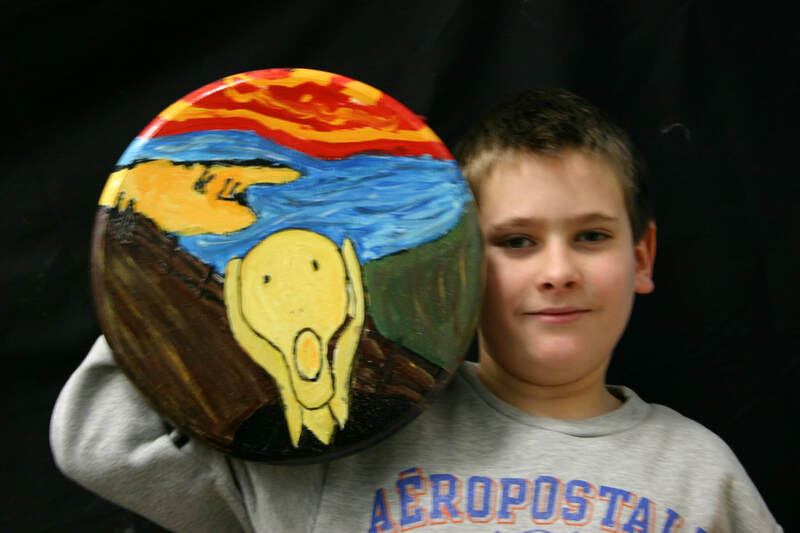 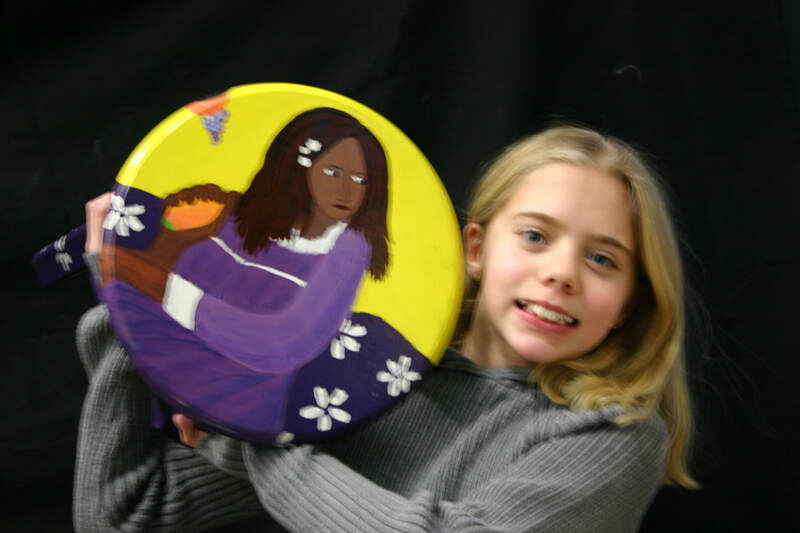 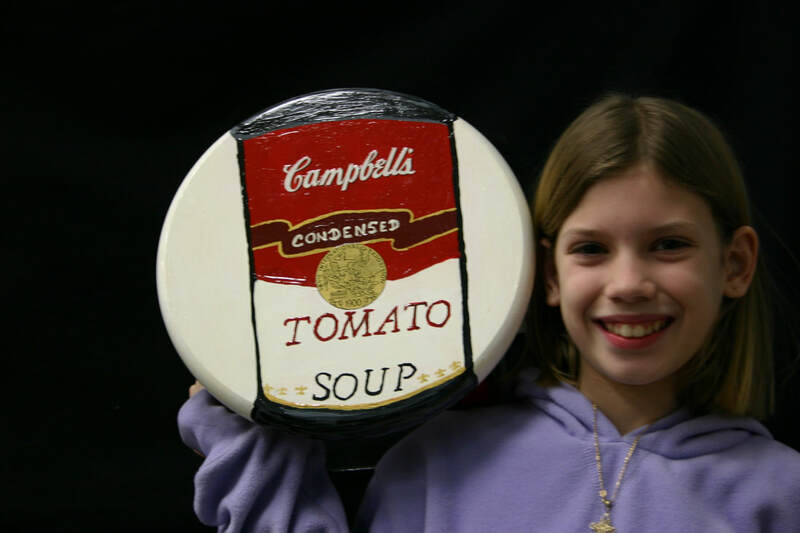 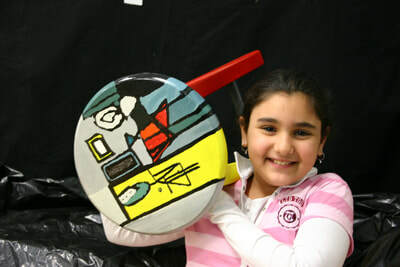 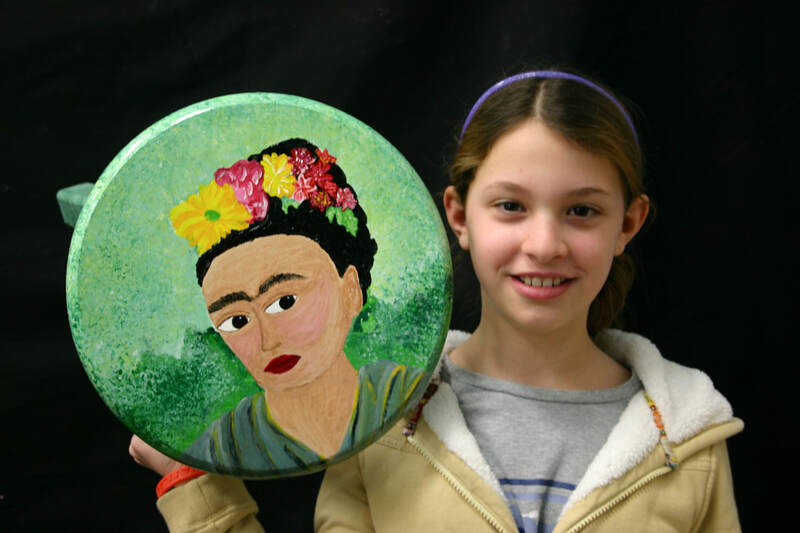 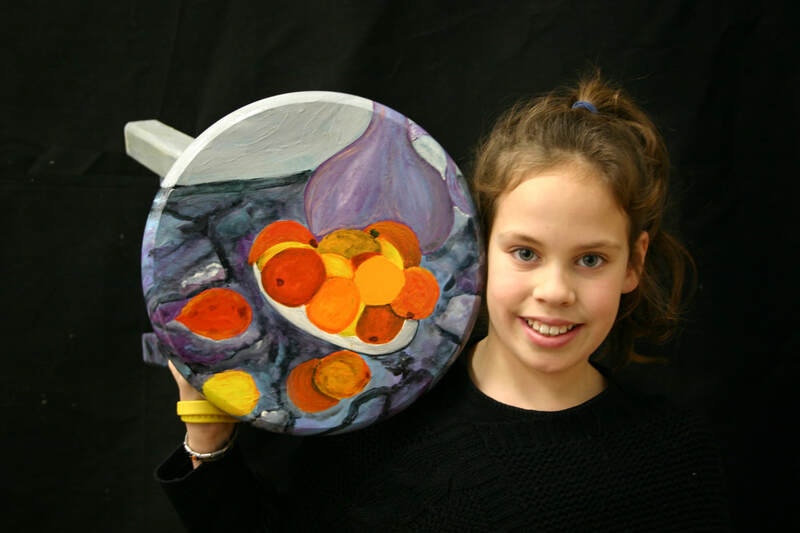 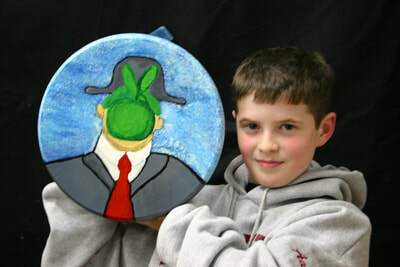 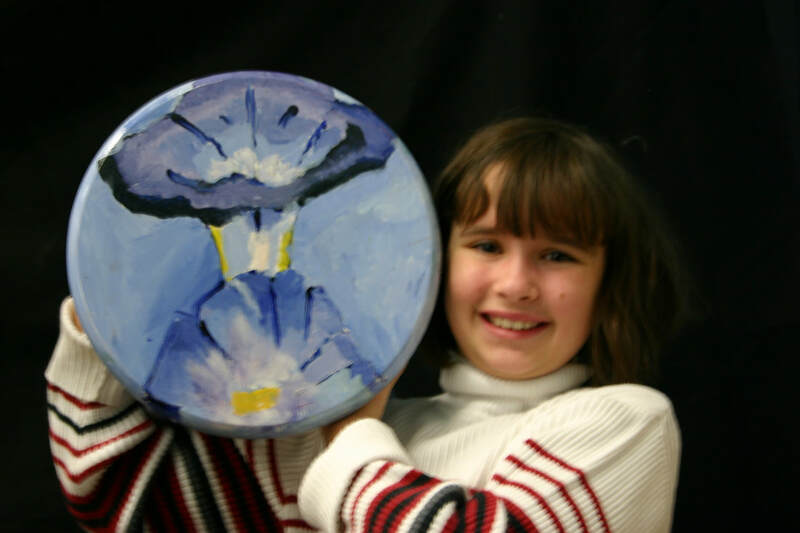 Fourth and Fifth grade students were commissioned to design and paint stools for the art room this year. 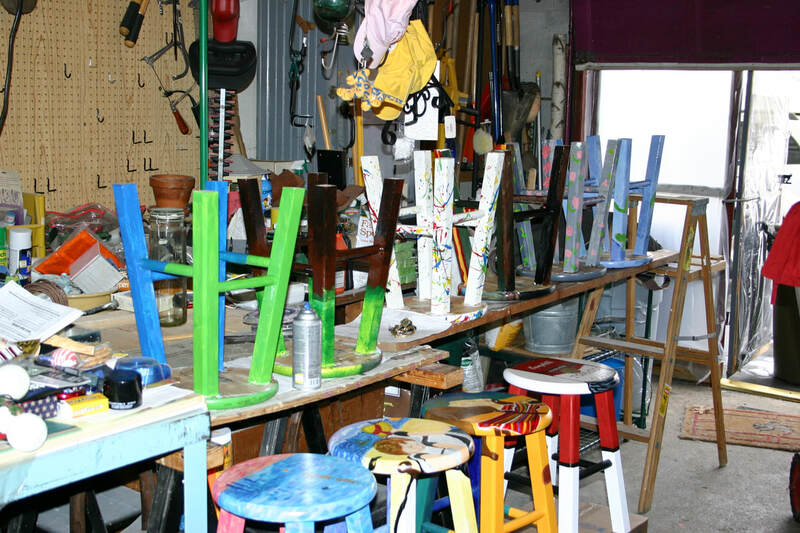 This was an after school community service project that was developed out of the need for new seats. 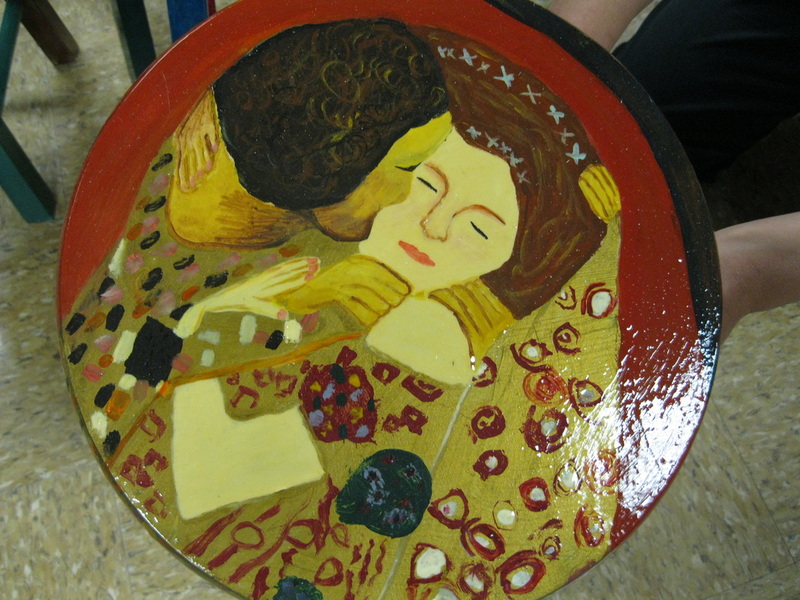 Over the summer the art room received a make over, by way of brand new art tables. When the tables arrived we realized that there was one small dilemma. The chairs that remained were now too low for the students to properly sit and work upon. So, Ms. Michele Carpentier the music teacher, and I, Mrs. Tamarah McCue, art teacher at Johnson School, came up with the idea of painting stools to replace the present day seats. 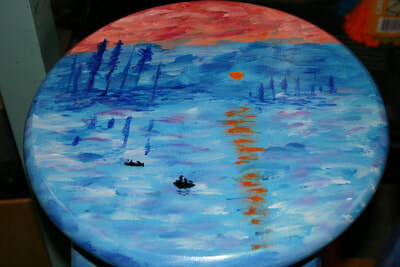 The idea of painting the stools was a developed from a previous project I had done in 2002 with a group of fifth graders. For that lesson, I was given benches to paint for the media center. 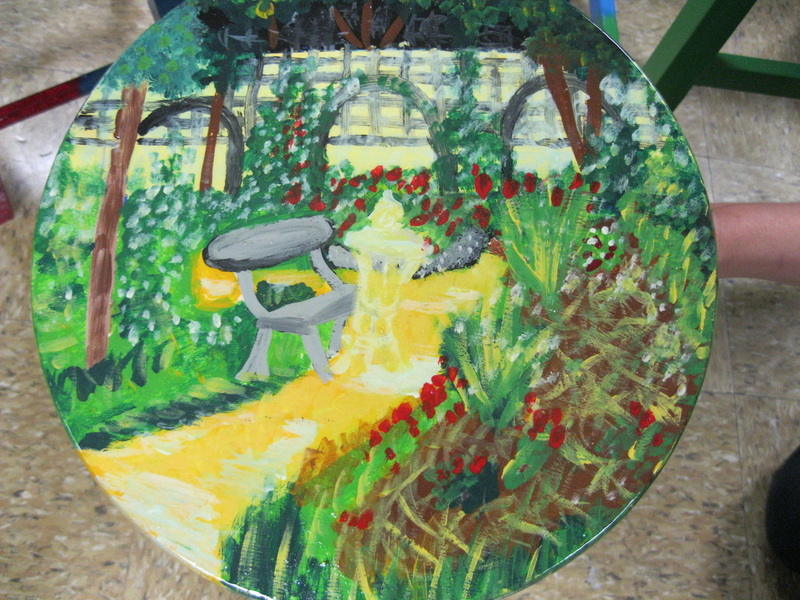 I was excited to paint the benches in the style of different artists. This was a lesson I had seen in a book called From Ordinary to Extraordinary Art & Design Problem Solving, by Ken Vieth. 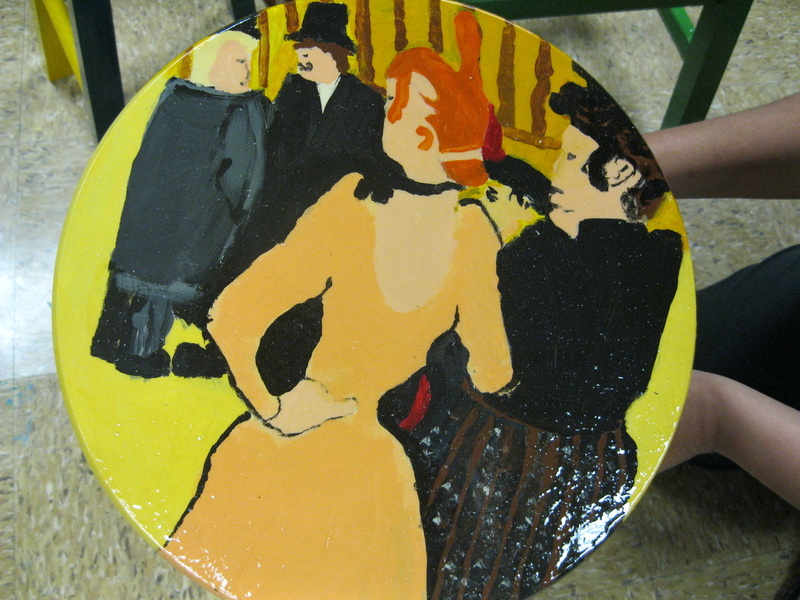 In his book high school students painted folding chairs in the styles of different famous artists, such as Pablo Picasso. So, after our bench project, the stools seemed a perfect chance to bring color and beauty to our school and our lives. 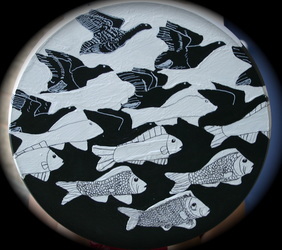 I began by choosing 29 famous artists and artworks from across the ages. 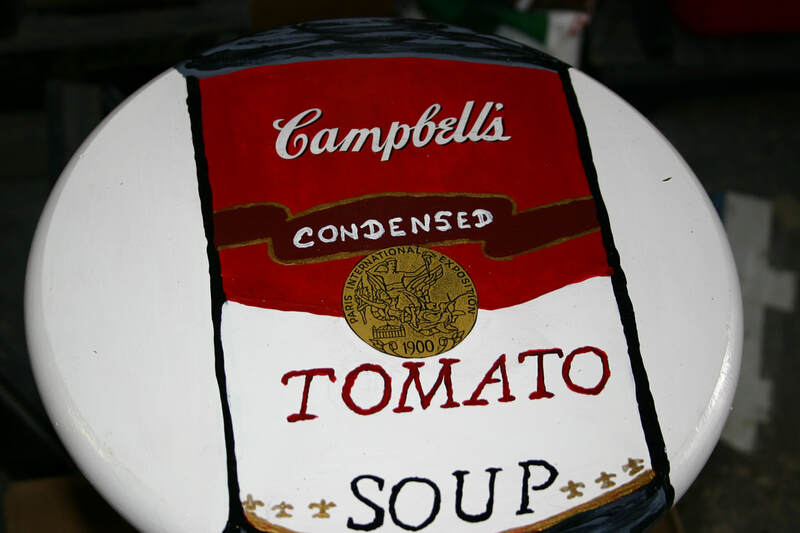 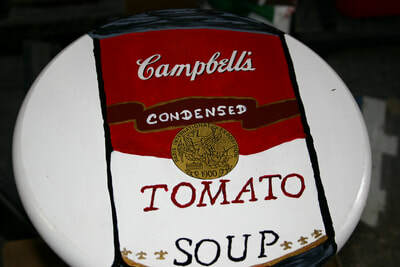 From Leonardo da Vinci’s, Mona Lisa, to Andy Warhol’s, Campbell’s Soup Tomato, I wanted a variety of styles and techniques to be represented and recreated. 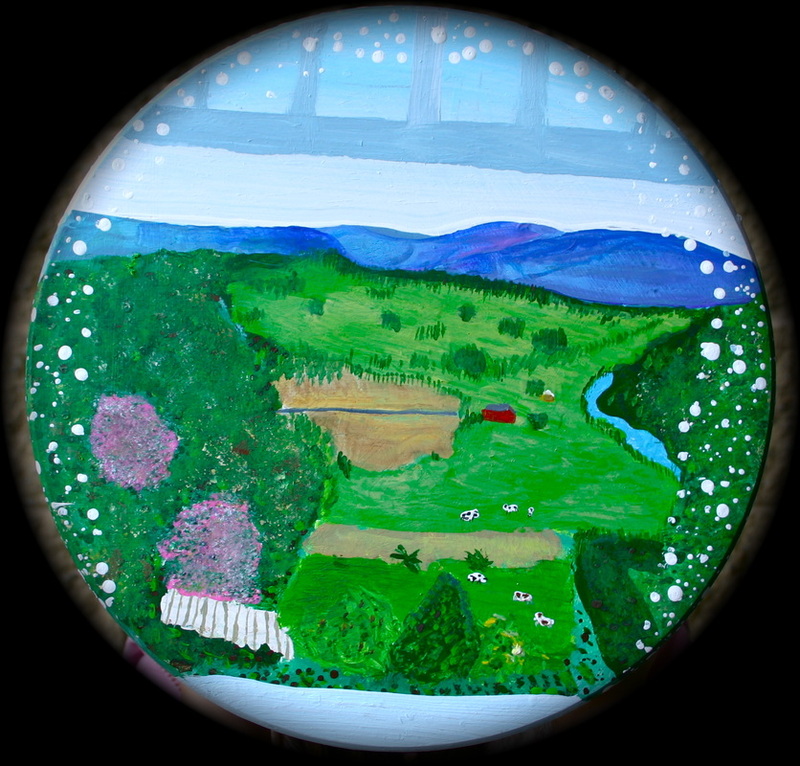 After the children chose a picture they liked, they set about drawing what they saw. 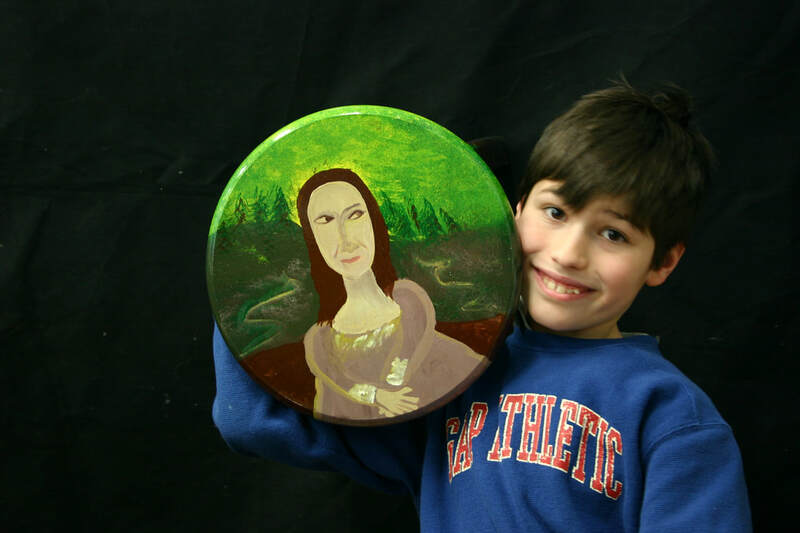 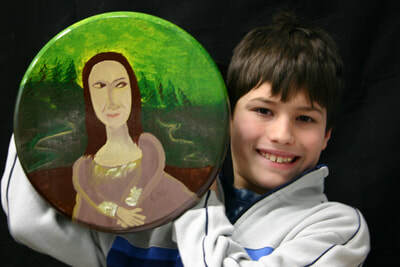 They learned about their famous master artist by focusing on the technique, specifically the method or style of painting that the artist developed/utilized. 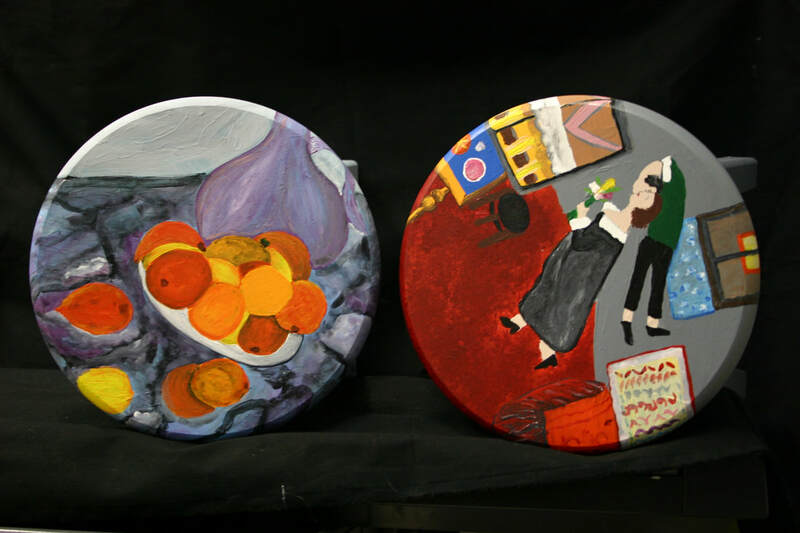 The stools provided an extra challenge due to their rounded surface, legs and rungs, which needed to be incorporated into the painting. 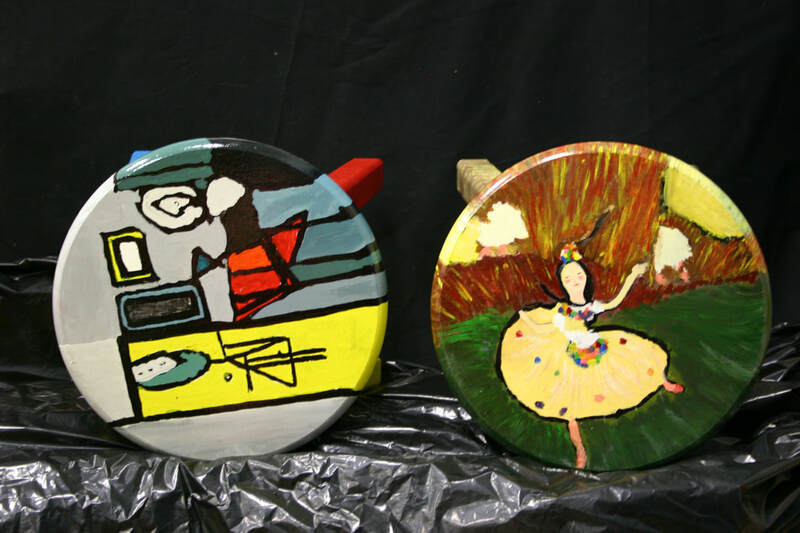 The children quickly realized that they would have to rely heavily on their creative abilities as much as their initial studies. 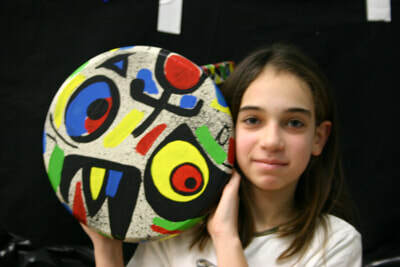 Some of the artist’s we focused on include Henri Matisse, Georgia O’Keeffe, Vincent van Gogh, Claude Monet, Georges Seurat, Frida Kahlo, Roy Lichtenstein, Salvador Dali, Mary Cassatt, Paul Klee, and Jackson Pollock. 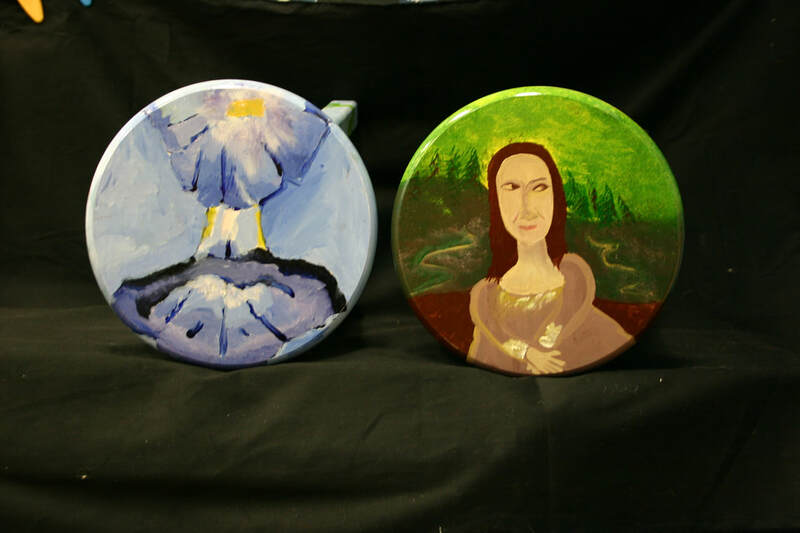 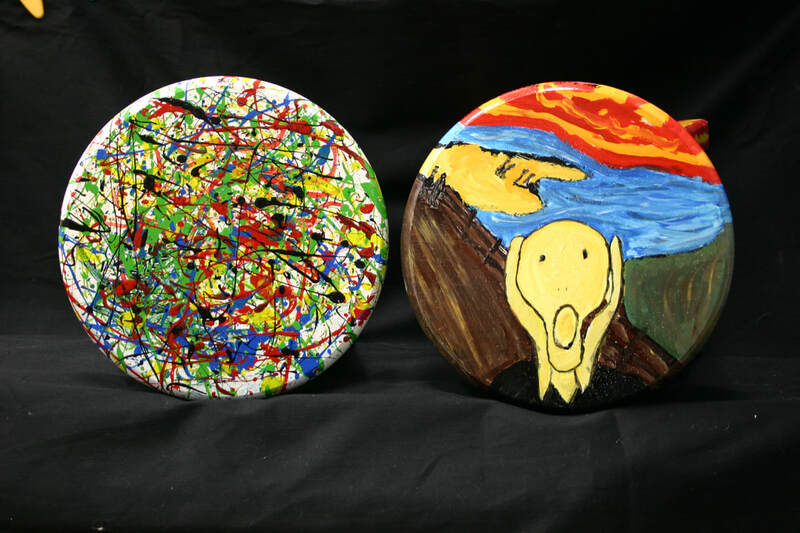 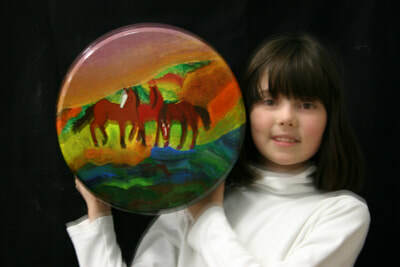 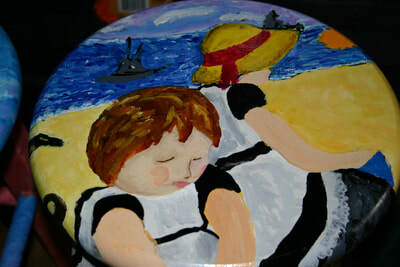 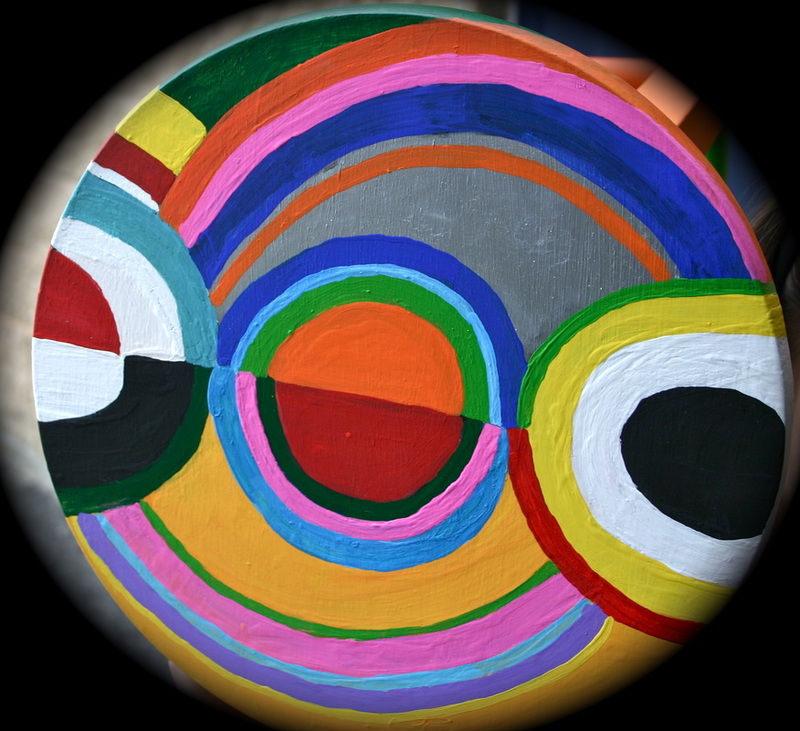 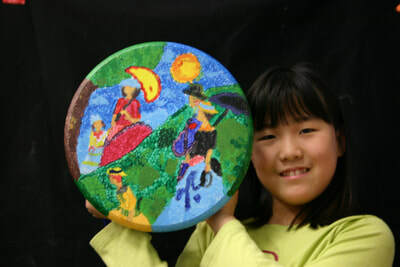 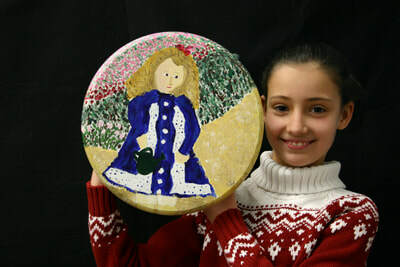 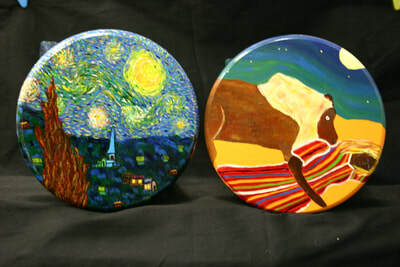 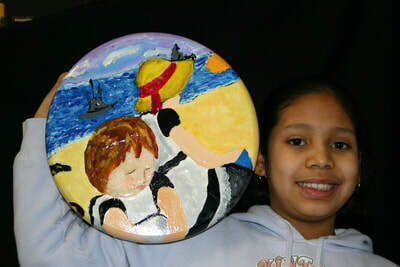 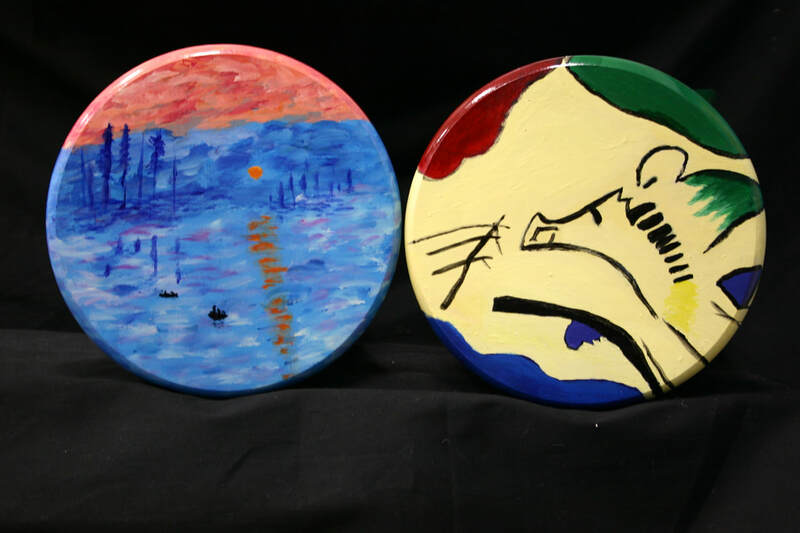 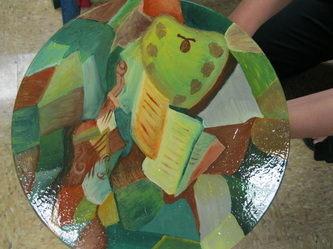 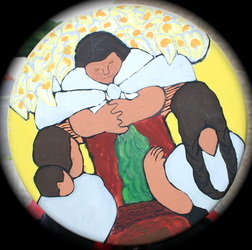 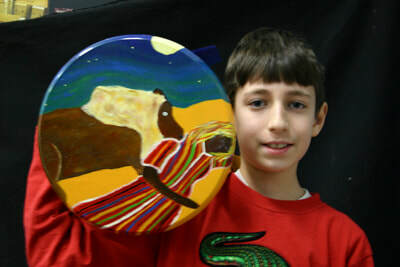 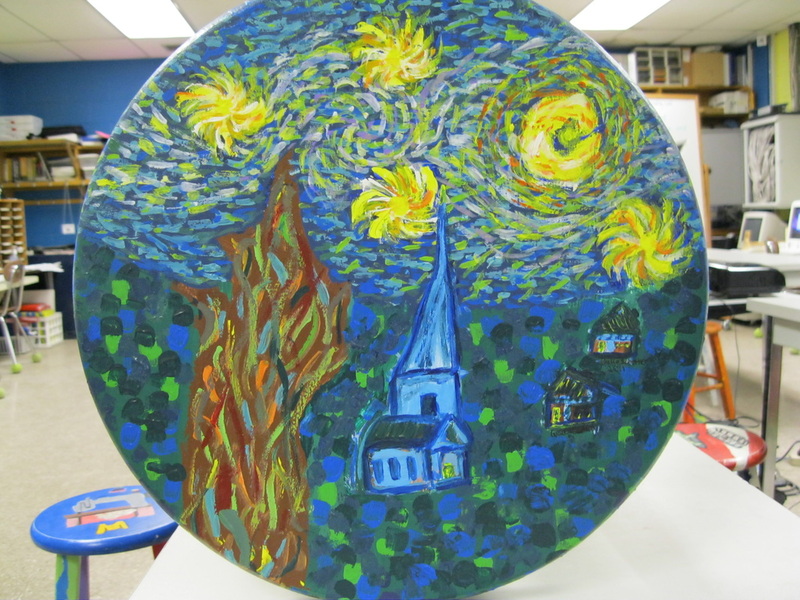 The children spent approximately 15 – 25 hours painting their stool. 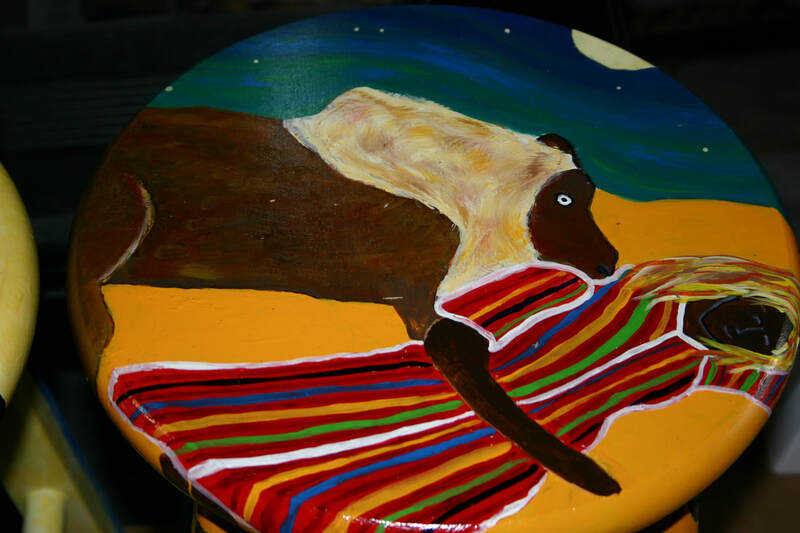 We used acrylic paints and then parents helped us give the stools a clear sealant to protect the art and make them functional. The successful results are expressive of the children’s ability to imagine, create, and express themselves in a wonderfully appealing fashion.